Although, most of our suites are fully furnished, we can easily make that suite unfurnished if you have your own furniture! Rent an unfurnished apartment in Las Vegas, Mesquite, Reno, Albuquerque, Phoenix, Shreveport or San Antonio today. Our unfurnished studios, Jr. one bedroom, one bedroom, and one bedroom apartments have a lot to offer. Such as great locations and cheap weekly or monthly rates. Also, we offer great amenities such as free utilities. Check out one of these locations to see what other amenities are included. Find the apartment that's right for you by state location, city location, apartment size, or apartment features using the links on the left. Not staying with us yet? 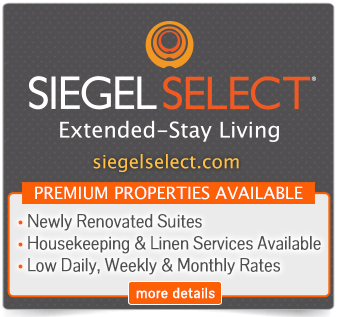 Call us toll-free at 1-888-328-0192 or email to reserve your apartment.